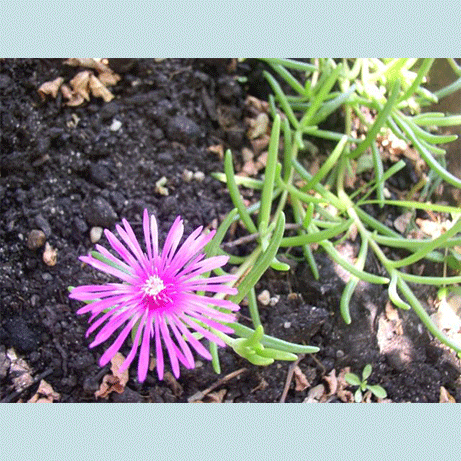 Dorotheanthus Bellidiformis is a flowering groundcover succulent that resembles delosperma. Like delosperma, Dorotheanthus Bellidiformis is a mesemb succulent that it easy to grow, requires little to no fertilizer and grows well in rock gardens or along rock walls. 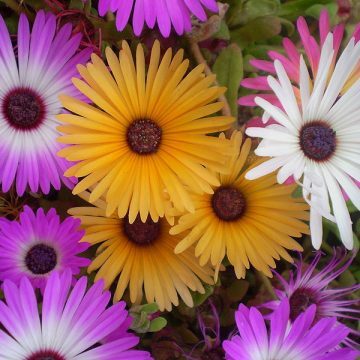 The genus was named after the mother of Dr Martin Heinrich Schwantes and contains six species from South Africa. This species enjoys sandy well-draining soils in low mounds. 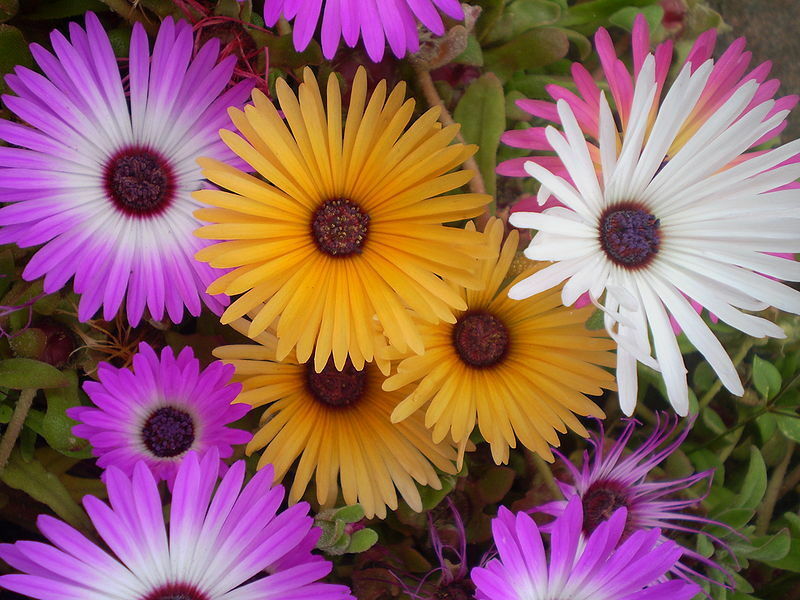 It is commonly known as Longstone Daisy or Livingstone daisy for its multi-colored daisy-like flowers that bloom extensively from summer to Mid-October. The flower clusters are spotted with varying blooms all have dark centers. The seeds are best off being sown when the weather is cool (about 70 degrees f). 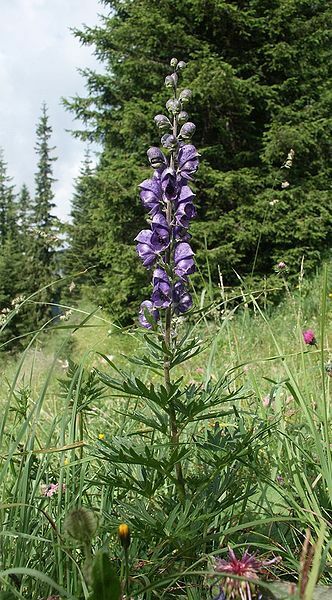 It can be grown as an annual in most areas, but will grow perennially in zone 11. 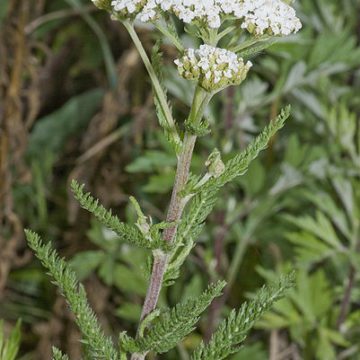 Individual plants can reach spreads of nearly a foot with flowers that reach a foot in height. Growing Information: Seeds should be sown in a fine, sandy soil at 70-75 degrees. A commercial cactus potting mix with the larger debris strained out is ideal. Flatten out the soil and put a thin layer of loose soil above it. Sow the seeds on the surface. Mist the soil to keep it moist and cover with clear plastic. The soil should not be allowed to dry out while the plants are still seedlings. Use a mister if the soil does get dry. Place the seedlings in bright light. Placing the seedlings just a few inches from a fluorescent bulb is ideal, although natural light works too. Be sure to air out the seedlings once a day for best results.